When I heard there was going to be a film about Alfred Hitchcock in the works, to say I was intrigued would be an amateur sentiment. I was freaking ecstatic. Like millions of viewers across the world, I am a huge fan of pretty much anything Alfred Hitchcock did in his illustrious career. But, when I heard that the film was less than a biopic, but more of a period piece, I became even diligently ecstatic. In this day and age, there is a world wide web that could provide several different versions of a man in a biographical sense. But, when we deal with direct periods, such as the making of a film that completely redefined the career of an already acclaimed filmmaker (i.e. Psycho, if you hadn’t caught on yet), we get a more detailed and in-depth look into the emotional stamina of a subject. And if that weren’t enough, I learned that film was based on a book written by a man who I had only known as a fantastic journalist. And after reading Alfred Hitchcock and the Making of Psycho, I knew that between the film, and the as per usual far superior book, I had stumbled upon an in-depth look into something beautiful. And lo and behold, I managed to be able to steal a few words with the author of Alfred Hitchcock and the Making of Psycho, Stephen Rebello to get an even greater insight into the world of Hitchcock. And while we were at it, we got to showcase the career of a man that has had an abundance of personal and professional achievements in his esteemed career. And through a bit of research, I learned some pretty amazing and/or interesting factoids about the great Mr. Rebello himself. We are very excited to introduce one of the today’s finest writers, journalists, humans of world of words today. Enjoy! How does one move from the world of social work and therapy…..to journalism in the entertainment world? Are there any similarities? I’d call it some fantastically weird , cosmic collision of ambition, neurosis, persistence, hard work, and incredible amounts of luck punctuated by occasional flashes of talent. I don’t think I’ve gotten here in ways that are very much different from how people have been doing it for decades – I’m talking about the ones who gravitated to careers in the arts from law, newspaper reporting, fiction writing, film criticism or what have you. I’ve been writing since I was a kid. I’ve been dreaming and imagining from the womb. I sang professionally as a kid, too. I’ve found new ways to sing, I guess. Even while I was happily working as a therapist, I began to write pieces that got the attention of editors and publishers and one thing lead to another. I’m just grateful that, from the beginning, there have been those who seem to like the sound of my ‘voice’ — and continue to, especially as it evolves. Did you find yourself slipping into some sort of neurotic way of being while researching and writing about a subject that revolved around murder and psychopaths? Did you ever have to stop and analyze yourself? Not any more neurotic than usual. I’m not a Method writer. I roll up my sleeves and become a relentless, endlessly inquisitive detective, psychologist, worker bee. Doing research, you’re a living camera, a tape recorder, a witness. Doing research for something like this, you become a tape recorder, a witness, a camera, a detective, a psychologist, an interrogator. Researching Alfred Hitchcock and the Making of Psycho, the murderer and psychopath in question was Ed Gein, whose 1950s crimes and pathological personality somewhat inspired writer Robert Bloch’s creation of the Norman Bates character in his novel, Psycho. When I was researching, I was up to my neck in original vintage script notes, sketches, casting notes, production schedules, contracts, and screenplay drafts. 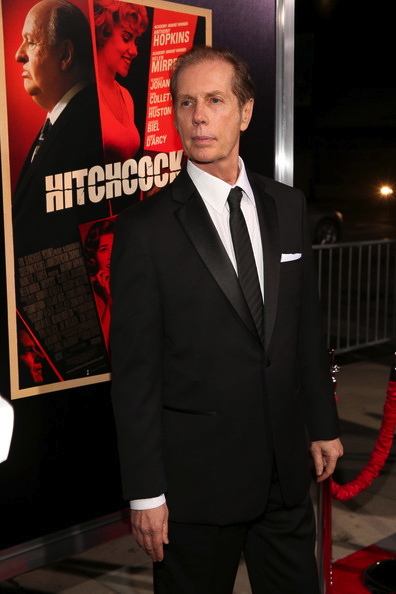 More than that, I was spending face time on a weekly basis with the people who actually made Psycho – and others films – alongside Hitchcock. That was insanely fun, thrilling and informative. It almost felt as if I were plunged back into the time when Psycho was being made. 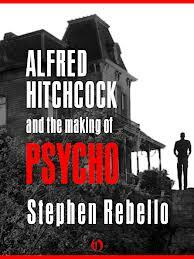 Years later, when my agent and I sold the screen rights to Alfred Hitchcock and the Making of Psycho to one of several bidders, eventually the film studio hired me to do several rewrites of the existing screenplay adaptation of my book. Shifting from non-fiction to fact-based fiction was an exciting transition. I had already spent months immersing myself in the ‘50s, the era in which Psycho was birthed. I devoured period music, books, magazines, news footage, videos, and the films of the era. The iconography, conservatism, optimism, paranoia, mores, notions of romanticism, the slang and language were absolutely crucial to me – though they were less so to others. It drove me insane whenever people involved in the film version of the book kept trying to have the characters throw around anachronistic, clichéd phrases like “serial killer” or insist on having Hitchcock talk self-consciously to other characters as if he knew Psycho would be a game-changer while he was filming it. Hitchcock was a genius but he wasn’t clairvoyant. Anyway, some battles you win but you lose many others. Through all of your research for Alfred Hitchcock and the Making of Psycho, what would you personally say was the most surprising and unique trait of Mr. Hitchcock? In hindsight, were there any segments you would have liked to have seen differently in the film Hitchcock? And what is your overall opinion of the film? Films based on real events work best for me when they dramatize actual facts in powerful, unexpected ways. So, maybe selfishly, I like Hitchcock when it’s sticks to the kind of movie that I was envisioning, the kind of movie I wanted to see, the kind of film for which I was hired to write dialogue, scenes and characters. For instance, as I mentioned to you before, for the screenplay, I had no interest in the real life murderer Ed Gein because the novel and film Psycho are about the fictional creation Norman Bates, not Gein. Hitchcock could not have cared less about Gein, either. I kept trying to minimize or cut those scenes because they ate up valuable storytelling time without much dramatic payoff. Others liked them, so there you go. I’m all about Hitchcock when it’s focused on him battling hostile studio executives, using any trick in the book to convey his artistic vision to his actors and crew, enlisting his wife Alma’s expertise in “fixing” the movie, orchestrating Psycho’s evolutionary advertising campaign, enjoying the sounds of the audience reacting to seeing Psycho for the first time. What I miss is Hitchcock’s inner life and struggles as a man and a great, complex artist, his revealing, rich relationships with graphic designer Saul Bass, composer Bernard Herrmann, his assistant Peggy Robertson. All that said, though, I’ll never forget that day in 2008 when I finished and sent off to the film’s then-director a speech I’d written for Alma. It’s the one in which she sets Hitchcock straight, really laying into him for his casual cruelties, neglect, monomania. She reminds him exactly who she is as a person, a mate and collaborator. That particular scene, among others, comes from a very deep place in me and in Hitchcock, it’s virtually word for word how I wrote it. Some old friends called to bust me after seeing Hitchcock because when Alma sarcastically tells Hitchcock that Doris Day should do Psycho as a musical, my friends reminded me I’d made that exact wisecrack to him back in Boston, Massachusetts when I tried to lighten the mood as we were leaving a grim, devastating film about the Nazis. Several people contributed to the Hitchcock script but I always saw Hitchcock and Alma’s fascinating relationship as the project’s emotional heartbeat. 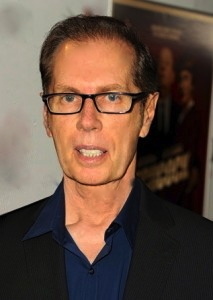 There were many other strong scenes – with Anthony Perkins, Janet Leigh, Vera Miles — that would have brought the viewer deeper inside Hitchcock’s creativity, his complex relationships with coworkers, his larger-than-life humor, his sadness, his genius. They were never filmed. I miss those. Quite the opposite of psychopaths, you have written books based of the art of films like Pocahontas and The Hunchback of Notre Dame…the Disney versions. What made you want to start working for Disney? I’ve loved classic Disney animation from childhood and my storytelling has been influenced by Disney. A fantastic Disney publicist and great friend named Howard Green was a fan of Alfred Hitchcock and the Making of Psycho and kindly brought me in to meet with the studio executives who were interviewing writers to work on their making-of books. I got the OK and had the privilege and challenge of documenting the production of three of Disney’s animated films. That led to my getting hired as a writer doing story development for several Disney animated feature projects, as well as my writing the teleplay for an ABC TV musical based on Sleeping Beauty. Like many other projects, those scripts are locked in towers guarded by dragons but crying out to be filmed. You have had the opportunity to interview an immense amount of incredibly interesting people. Who, besides Alfred Hitchcock, would you consider to be the most intriguing person you have spoken with? What a privilege, right? So many. A standout has to be the great illustrator Al Hirschfeld, who held me spellbound for hours in his incredible Manhattan home and studio telling me tales of his art and of people he knew intimately –the Marx brothers, Will Rogers, the Gershwins, Moss Hart, Rodgers and Hart, Rodgers and Hammerstein, Fannie Brice, Fred Astaire, Jack Benny. His intelligence, gusto, the way he bit into life still inspire me. Interviewing Ernest Lehman, one of Hollywood ‘s greatest screenwriters known for North by Northwest, The Sound of Music, Sweet Smell of Success, Sabrina, West Side Story, led to an extraordinary friendship and mentorship that I miss to this day. He was razor-sharp, complicated and so funny. We both have a sardonic, gallows sense of humor, a taste for the macabre, a love of understatement. We nearly collaborated on a book about his hair-raising experiences making Who’s Afraid of Virginia Woolf with Elizabeth Taylor, Richard Burton and Mike Nichols. Unfortunately, Ernie got cold feet about doing the kind of tell-all book he’d originally set out to do, so the publishing deal collapsed. We were also deep in discussions and exciting new ideas for an original screenplay that he’d wanted to do decades before with Hitchcock. The agents were actually working on the deal. One day, I showed up for a story meeting. That morning Ernie had taken a cab to a doctor’s appointment and had just come back. Anyway, he announces that our movie project was off. Why? He’d tried-out the idea on the cab driver and the cabbie hadn’t liked it enough. I was stunned and thought the mood would pass, but the more I tried to reason with him, the more he resisted. We brought each other potential new material, but we could never seem to agree. I think he was frightened of competing with his incredible past successes. Oh, but, if only. Your book Reel Art: Great Posters From the Golden Age of the Silver Screen was positively revered as a one of the finest books written about Hollywood. And that was 25 years ago. Therefore, if you could add any additional “reel art” from the years since you released the book, what would make the book? What would not? Why? There’s been continued interest in another Reel Art book but that’s all hot air until someone actually steps up to the production costs involved. Too many posters of the past few decades have just been assemblages of “floating head” photos of the stars. Too many contemporary posters are also too much like the work of Saul Bass. There have been some cool, imaginative ones, though like Brazil, Fargo, The Tree of Life, The Truman Show, American Beauty, Walk the Line, Moon, Batman, 127 Hours, Cloverfield, Moonrise Kingdom. What was the first book you can remember completing? Did it have any impact on you? At six or seven I won a supremely cool Schwinn bike in a Peter Pan lookalike contest at a local movie theater, so I read Peter Pan probably to figure out whether winning that contest was a slam or a good thing. Anyway, by the time Barrie described Peter as “clad in skeleton leaves and the juices that flow from trees,” I was just wowed. I loved the adventure of flying over London rooftops, the pirates, the Indians, the Lost Boys, all of it. By the end of it, though, the whole play made me incredibly sad and melancholy which it’s supposed to because that queasy dark underside, those deeper implications are big aspects of Barrie’s genius. It’s interesting that the project Hitchcock most wanted to film throughout his life but never got to make — or was never allowed to make — was Mary Rose, a dark, sentimental ghost story by Barrie. I wish he had done it in the ‘50s at Paramount starring Audrey Hepburn. Aside from some of your questions, you mean? I got a completely unexpected message this week from one of our most respected American writers telling me how wonderful and underappreciated he thought Hitchcock was. That was incredibly nice and moving. When he added, “But it would have been even better if it were more like your book,” well, I’m not going to lie. I’m still smiling.